Slipping on a pair of quality noise-cancelling headphones can be like stepping into a sonic spa. Airplane roar evaporates, chatter from other customers in the coffee house vanishes, and the sound of traffic rumbling next to you on the street gets so tamped down that you might as well be walking along a country road at dawn. 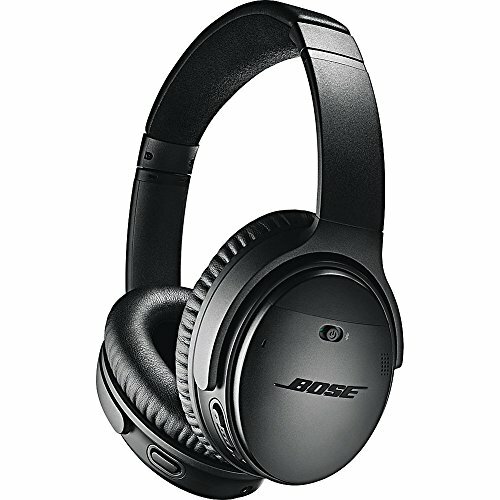 In our analysis of the best noise-cancelling headphones for 2018, Bose, the Massachusetts-based groundbreaker in this field, once again has a lot of entries at the top of the list, but that list is topped for 2018 by a new titan – Sony, whose WH1000XM2 cans offer a complete package that’s simply hard to beat. As you consider buying a pair of noise-canceling headphones, keep in mind that if you’re primarily looking for ‘phones to deliver optimum sound quality, you’ll always get a bigger bang for your buck by purchasing non-noise-cancelers. That’s because with a pair of standard headphones, all of the technology and development is put into bringing high-quality sound to the fore, while with noise-canceling ‘phones, the budget goes first to knocking back exterior noise, then to delivering good sound. So if, you will be listening to your music mostly in quiet spaces, then you might want to consider a standard pair of cans for richer lows and crisper highs. If, however, you will primarily be wearing your headphones while traveling or in noisy environments, you won’t do much better than grabbing a pair of one of these all-star noise-cancellers. It’s pretty much a dead-heat for the top headphones worth your consideration in 2018, between these cans from Sony and the next set in our list, the QuietComfort 35 from Bose. While both pairs of ‘phones offer superb sound quality, the Sony pair has a few additional features that propelled it to the top of our list. First, these top-quality cans feature a few different sound modes that let the outside world in – when you need to. Someone walk up to you with a question? There’s no need to rip your headphones off to hear what they’re asking. With the “Quick Attention” feature, just cup your hand around the outside of the headphones and the music will decrease so you can give your attention where it’s needed. The outside of the earcups also let you swipe to control tracks, volume and access the built-in speakerphone. 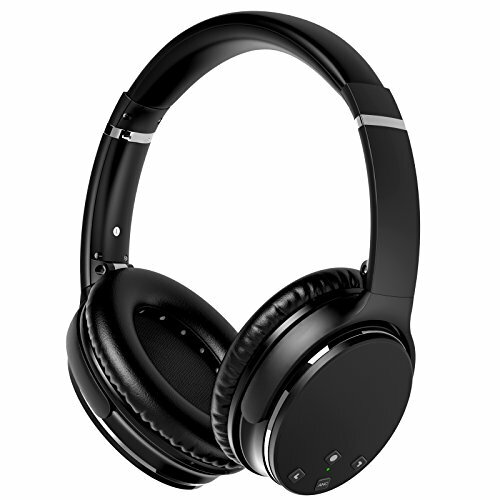 The headphones also offer two ambient sound modes that can be accessed with the push of a button – normal lets in outside sound, which lets you stay safe in busy environments like crowded streets, while ambient voice mode ensures higher-pitched sounds like announcements on aeroplanes still get through. The headphones also have a feature known as the Digital Sound Enhancement Engine HX (DSEE HX) which adds back missing information to compressed music files like MP3s to make them sound more like high-resolution audio. On top of all that the, headphones have a feature called Atmospheric Pressure Optimization that helps them work better on planes and an accompanying app that lets you adjust the sound quality and even tell the phones to send more volume to a particular side to truly customize your listening experience. Add in reliable Bluetooth connectivity and a long-lasting battery that claims to reach 20 hours and you can see why these ‘phones top our list. 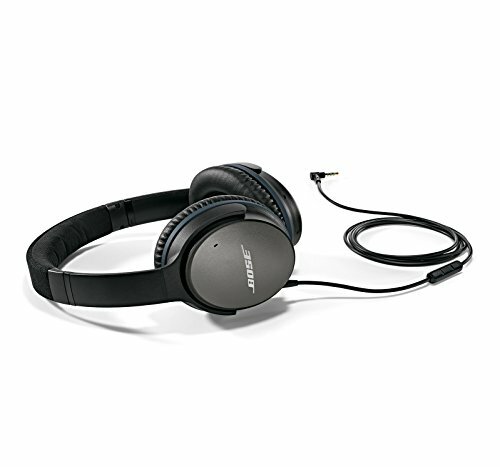 Hot on the heels of the Sony WH1000XM2 headphones comes this Bluetooth-enabled pair from Bose. Long an industry leader in the realm of noise-cancelling headphones, Bose demonstrates that it still has what it takes to remain near – if not in front – of the pack with these high-quality cans. Like the Sonys, these headphones also allow you to take calls through the built-in mic. The headphones feature two built-in sound sensors that Bose claims listen for incoming sound, process that sound on a chip in each earcup, and then send a canceling signal to quash the noise, all within milliseconds. Also, like their competitors, Bose promises up to 20 hours of sound output from these headphones. These headphones also come with an app that lets you adjust the level of noise cancellation and a button on one of the earcups that lets you knock back some or all of the noise cancellation function so that you can hear what’s going on around you. One added feature over the Sonys is a button that offers quick access to your smartphone’s digital assistant like Siri or Bixby. 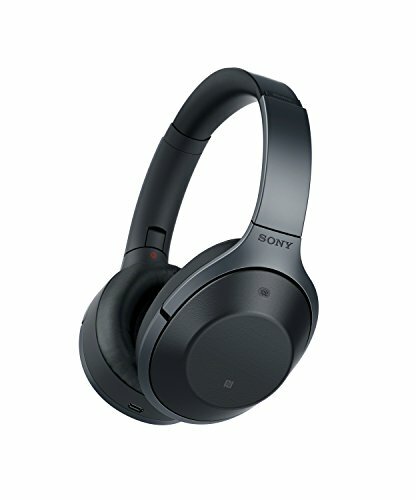 One drawback to both the Bose QuietComfort 35 and the Sony Sony WH1000XM2 headphones is that once their batteries die, you lose out on the noise-cancelling feature of the ‘phones. Until you can charge them up again, you’ll have to make due with whipping out the included cord and using them as standard headphones, which, as we mentioned earlier, really isn’t the best use of these types of headphones. Additionally, even when using the Bluetooth connection, you may experience lag if you’re watching a movie on your computer or tablet, as the sound may not always precisely match the movement of the actors’ lips due to the broadcasting time of the Bluetooth radio signal. If going wireless isn’t critical for you, and you find the thought of battery death at 20,000 feet as unpleasant as a coach-class seat, you might want to consider the wired Bose QuietComfort 25s, which cost a good deal less than the 35 model. These headphones are classics among noise-cancellers and are universally given positive reviews. They’re super comfortable, offer that classic warm Bose sound, and the noise-canceling feature can be turned on or off with the flick of a switch. There’s also a mic and control switch mounted on the cord for taking calls or adjusting volume. The best part is that the noise-canceling feature runs off one AAA battery, so you can toss a few in your carry-on bag and not have to worry about running out of juice while traveling. 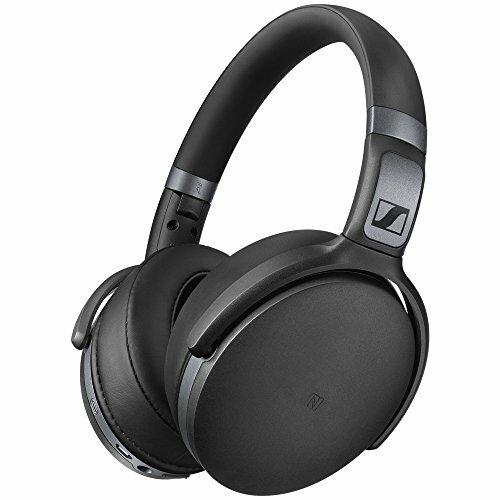 Sennheiser has long been regarded as a manufacturer of high-quality headphones and their reputation is certainly upheld with this wireless pair. Coming in at about $100 less than the Bose and Sony competitors above, you’ll wind up sacrificing very little sound or noise-cancelling quality but saving heaps of cash. These ‘phones are also famously comfortable and light, weighing in around the same as the Bose QuietComfort 35s at 8.4 oz versus 9.8 oz for the Sonys. Two things to beware of if you’re eyeing up these headphones. The first is that the ear cups tend to run a little small, so if you have big ears, they might not fit comfortably. Also, the sound quality for taking calls via the built-in mic gets mixed reviews, so if you’re going to be chatting through your ‘phones a lot, you might want to consider a different pair. 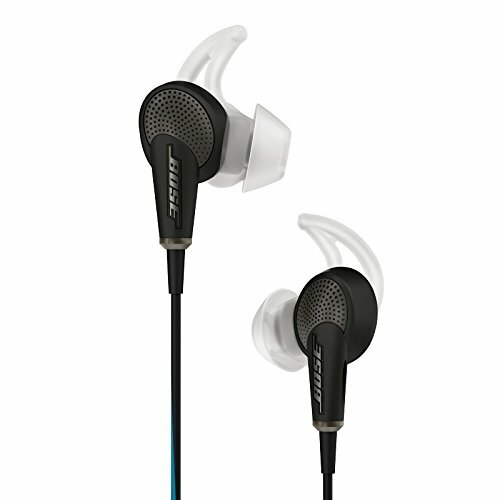 Most noise-canceling headphones are of the on-ear variety, but this pair from Bose (yes, them again), fit inside your ear. So if you don’t like having a good portion of your head taken up with big cans, these are well worth a look. They deliver active noise cancellation like the other headphones in this roundup, along with an in-line mic that lets you take calls. Like the Bose 35s, there is also a button that lets you cut the noise-cancelation feature off if you need to hear other things around you. According to all reports, the noise-cancellation ability of these ‘phones is equal to the more expensive and bigger Bose models, so unless you have an issue with sticking things in your ear, the 20s offer a lot in a little package. If you only occasionally need to use your headphones or simply need a pair that doesn’t run into triple-digit costs, you could do worse than this pair of noise-cancellers from KUNSTWORKER. You get headphones fitted with neodymium magnets, just like higher-priced headphones, which means they can be lighter while delivering more power. You also get admirable noise-reduction from the switchable noise-reduction drivers as well as Bluetooth functionality and a built-in mic that will let you take calls without taking off your cans. The sound quality is also extremely well-regarded for headphones in this price range. The only thing you’ll be trading off is battery life. While the other headphones in this round-up boast run times in the 20-hour range, these only claim to get 12. Taking into account that those times are always maximums, you’re likely to get even less than that. The battery is built-in so to listen longer, you need to charge them. Still, in our opinion, the quality-to-cost ratio here is worth the inconvenience of shorter battery life and with some careful planning, the headphones should make it through most flights.